Goon but not forgotten. From 1951 to 1960 the Goons ruled the airwaves, the most celebrated and influential clowns in the history of radio. GO ON - take your seats for the time-warp as Sir Walter Raleigh loads his treasure on the good ship Venus; the Hon. Harold Bowels MP gets the Needle from Cleopatra; Neddie, the 6,000-year-old Plasticine Man is unearthed at Stonehenge and secret agent Capt. Hairy Seagoon tracks down the Russian time machine in a special edition recorded for the BBC Transcription Service. 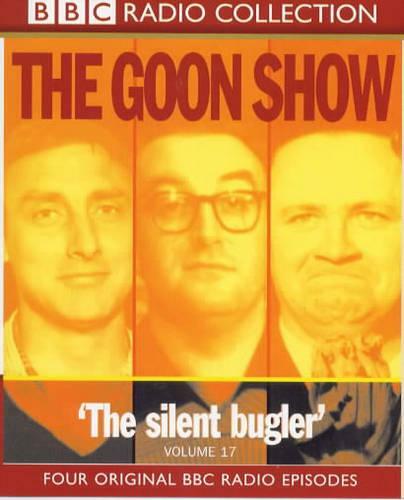 Only the esteemed Time Lords Peter Sellers, Spike Milligan and Harry Secombe can do all this through the truly timeless wireless wizardry of The Goon Show. The episodes included here are: The Reason Why, The Treasure in the Tower, The Plasticine Man and The Silent Bugler. 2 CDs. 2 hrs 5 mins.